"Jeannie Cho Lee" has rated the wine "2013 Chateau Figeac, Saint-Emilion Grand Cru, France" from the vintage 2013 on 03.07.2014 with 90 of 100 points.
" More complete and harmonious than the sample I tasted in April 2014 but this vintage is still not one of Figeac's best vintages. Young, earthy and medium-bodied with good potential to age. Tasted in: Bordeaux, France. Maturity: Drink. " "Luca Gardini" has rated the wine "2013 Chateau Figeac, Saint-Emilion Grand Cru, France" from the vintage 2013 on 01.06.2016 with 95 of 100 points. "La Revue du Vin de France" has rated the wine "2013 Chateau Figeac, Saint-Emilion Grand Cru, France" from the vintage 2013 on 01.06.2016 with 16 of 20 points. 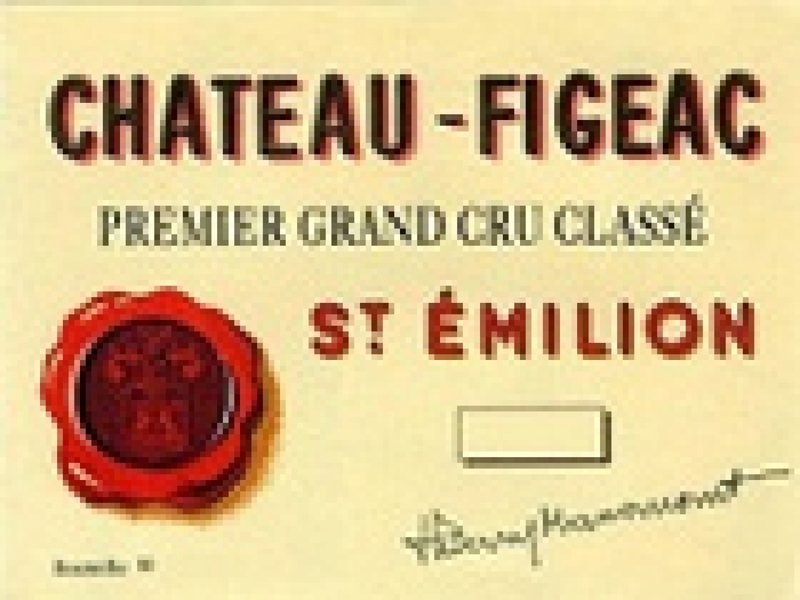 "Jeff Leve, The Wine Cellar Insider" has rated the wine "2013 Chateau Figeac, Saint-Emilion Grand Cru, France" from the vintage 2013 on 25.05.2016 with 90 of 100 points. "Wine Spectator" has rated the wine "2013 Chateau Figeac, Saint-Emilion Grand Cru, France" from the vintage 2013 on 31.03.2016 with 93 of 100 points. "Wine Enthusiast" has rated the wine "2013 Chateau Figeac, Saint-Emilion Grand Cru, France" from the vintage 2013 on 03.01.2016 with 94 of 100 points. "Gault & Millau" has rated the wine "2013 Chateau Figeac, Saint-Emilion Grand Cru, France" from the vintage 2013 on 01.06.2014 with 17 of 20 points. 87 - 90 of 100 Points. "Vinous Antonio Galloni" has rated the wine "2013 Chateau Figeac, Saint-Emilion Grand Cru, France" from the vintage 2013 on 01.05.2014 with 87 - 90 of 100 points. "Falstaff Magazin" has rated the wine "2013 Chateau Figeac, Saint-Emilion Grand Cru, France" from the vintage 2013 on 25.04.2014 with 91 of 100 points. "CellarTracker" has rated the wine "2013 Chateau Figeac, Saint-Emilion Grand Cru, France" from the vintage 2013 with 90 of 100 points. "Stephen Tanzer" has rated the wine "2013 Chateau Figeac, Saint-Emilion Grand Cru, France" from the vintage 2013 with 87 - 90 of 100 points. "Bettane et Desseauve" has rated the wine "2013 Chateau Figeac, Saint-Emilion Grand Cru, France" from the vintage 2013 with 17 of 20 points.